How Do I Suggest Colleges for my Athletes to Target? Coaches can suggest colleges for their athletes to consider and add to their Target Lists. Coaches have a great understanding of where their athletes are capable of playing and which schools they should consider. That's why coaches on FieldLevel can research colleges and suggest schools for their athletes to target. Suggesting colleges helps athletes build a strong Target Schools Lists and pursue the best opportunities to play at the next level. Using the College Search Tool, coaches can identify schools using filters such as school size, tuition cost, academics, location, competition level and more. Once coaches find colleges they think their athletes should target, they can suggest those schools directly to their players. Athletes will receive notifications when their coaches make these suggestions and can add these colleges to their Target Schools Lists. These suggestions appear in the Recommendations area for athletes. Coaches can also send messages to their athletes to add colleges to their Target Schools List using the Messaging feature. To message athletes, click into an athlete's profile and select Message located on the toolbar in the top right corner. 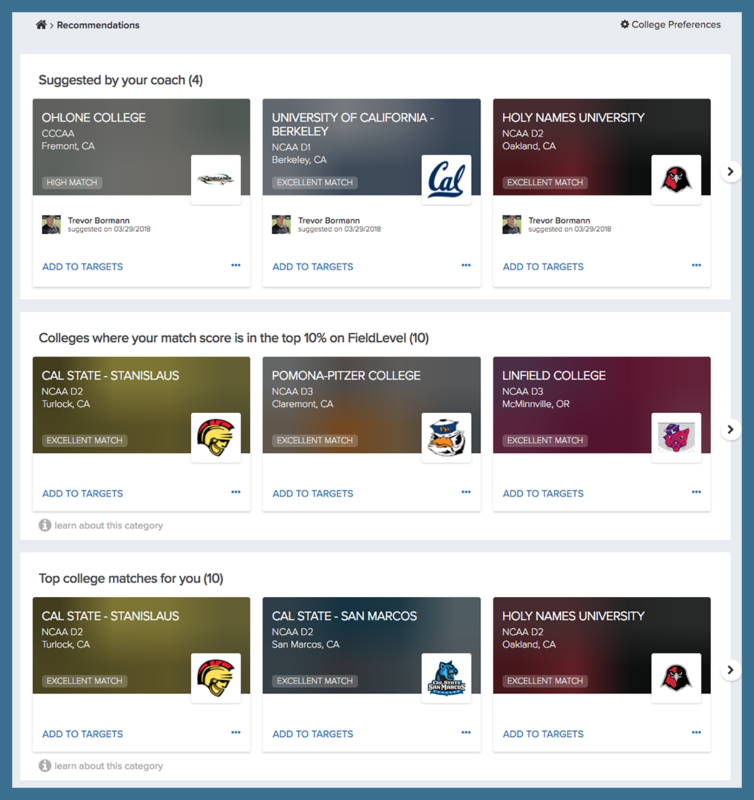 Coaches can research colleges and suggest schools from their athletes' profiles. 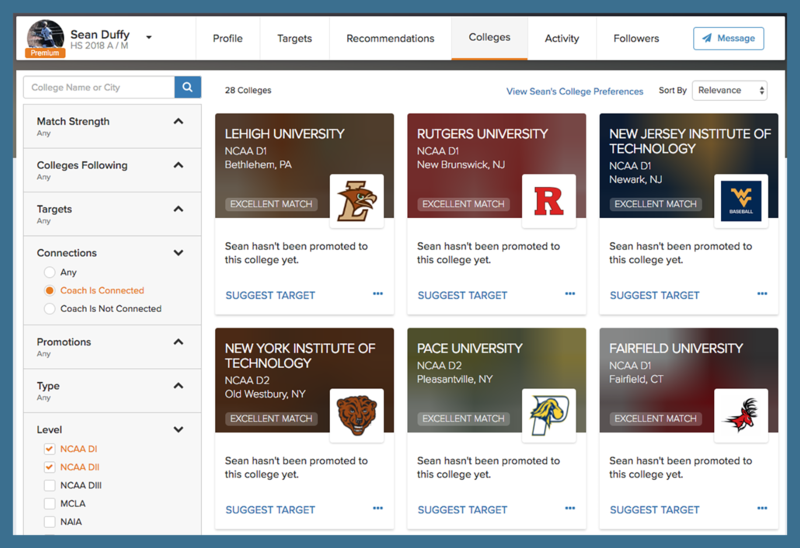 Simply click an athlete's profile, select Colleges on the top toolbar, then click Suggest Target. Coaches can view all of their suggestions by clicking on Recommendation in the top toolbar.